Nihon University, founded in 1889, is the largest educational institution in Japan, covering a wide and varied range of subjects within its sixteen colleges. The University spans a tremendous scale, in the number of graduates who have completed their studies and are leading successful careers, and in the huge amount of research findings published. 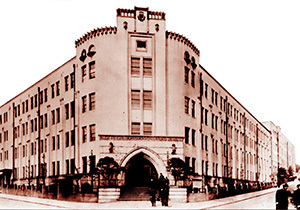 The College of Science and Technology (CST) was established in 1920 and serves as a leading research institution and Center of Excellence in Japan. With state-of-the-art facilities and research equipment, undergraduate and graduate students receive instruction from world-renowned professors, and are then tasked to expand on their knowledge through experiments and research projects. With two locations, CST offers the advantages of having both a metropolitan and a suburban campus. Students can enjoy the convenience of the Surugadai campus located on 11,000㎡ in Chiyoda Ward in the heart of Tokyo. 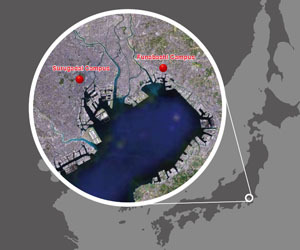 The Funabashi campus in Funabashi, Chiba Prefecture (adjacent to Tokyo), houses key institutions and facilities in its spacious campus covering 266,000㎡.